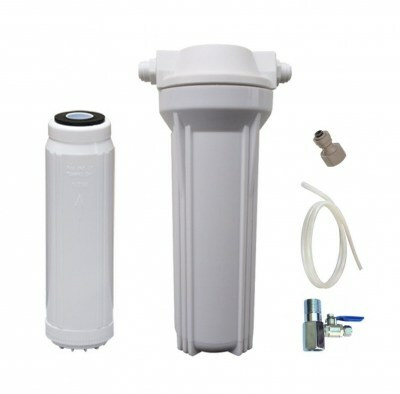 This 3 way tap filter kit package can be used with any 3 way tap on the market and including all of the 3 way taps we supply. We have the flexibility to change fittings as you require so please contact us about this if you need to. 1 of Feed-in valve with 1/2" male and 1/2" female - this is designed to go inbetween the flexible hose and copper pipe of the cold side connection. 1 of Tap Connector 1/2" Male or Female to push fit tubing either 1/4" or 3/8"
The Watts 2.5 x 10 GAC/Phosphate & De-Alk Filter incorporates granular activated carbon (GAC) which is combined with Phosphate and De-alk resin. 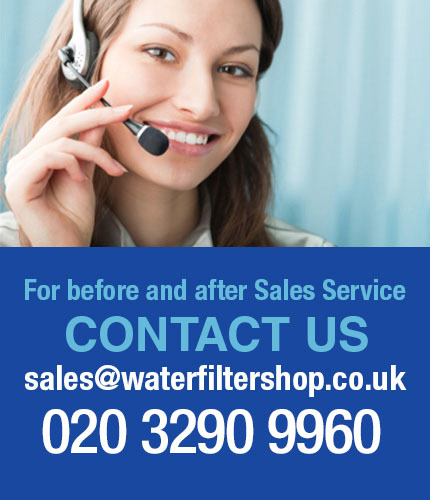 The filter is effective against chlorine, taste and odour, heavy metals e.g. lead, and will also tackle hard water, which is seen as limescale in kettles and as an unsightly scum on the surface of hot drinks. 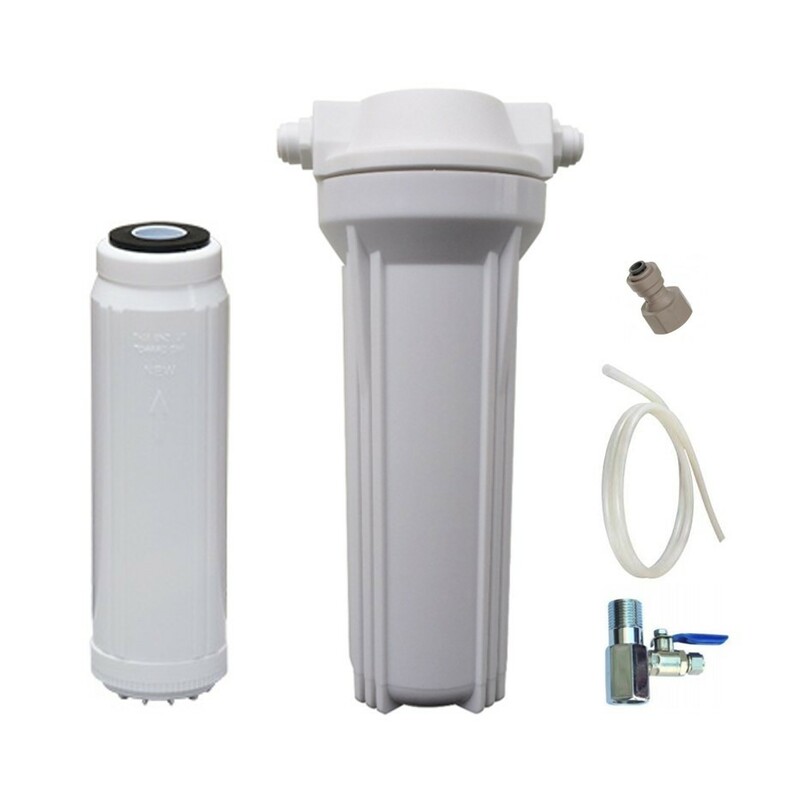 Water hardness varies greatly depending upon location, so the filter will need to be replaced at 3 - 6 monthly intervals or longer all of which entirely depends on the hardness of your water and the amount you use. We recommend your flow rate not exceed 4 LPM for the best contact time and filtration.